Premium washable quality; easily washes from skin and most washable clothing. Makes painting "worry free" for teachers and parents. Creamy consistency that users prefer. Note: A minimum quantity of 120 must be ordered, and in units of 12 thereafter. 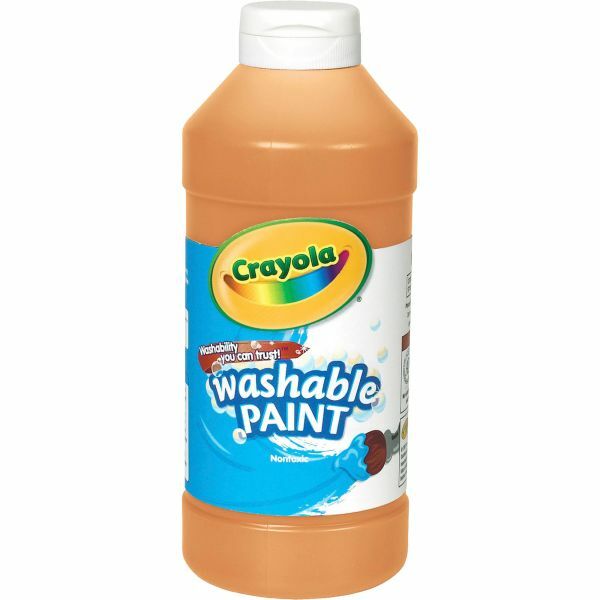 Crayola Washable Paint - Washable Paint combines vibrant color with true washability. Students can express themselves freely, because Crayola Washable Paint cleans up with just soap and water and washes easily from skin and most children's clothing. Paint won't chip or rub off. The 16 oz. plastic squeeze bottle has a flip top for easy storage and dispensing.